​Rx for a Healthier Life is designed to bring you the essential nutrients to create the foundation for a longer, healthier life including powerful vitamins, minerals, antioxidants, polyphenols, omega-3s, probiotics, polyphenols, protein and fiber. Three great options to choose from: Rx for a Healthier Life with Life-Strip, Rx for a Healthier Life with Vitalizer and Rx for a Healthier Life Kosher. 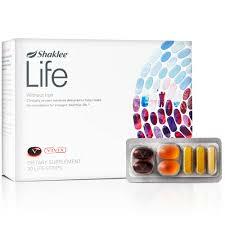 Rx for a Healthier Life plans all include the NEW Shaklee Life Energizing Shake. 24 gramsⱡ of protein, including 16 grams of proprietary, ultra-pure plant-based non-GMO protein with precise ratios of 9 essential amino acids, optimized for high protein quality. 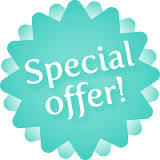 The non-soy Life Shake contains an exclusive blend of non GMO protein from sacha inchi, potato, rice, pea and leucine. ​Powerful breakthrough in immune system science. Scientists and medical communities have identified interferon as being crucial to healthy immune function. NutriFeron is an exclusive, patented formula, which provides a proprietary blend of four plant extracts designed to naturally increase levels of interferon and provide immune support at the cellular level. 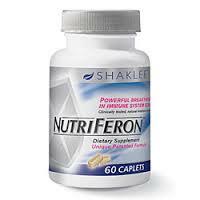 NutriFeron is the only dietary supplement in the U.S. created by the discoverer of interferon, world-renowned immunologist, Dr. Yashuhiko Kojima, designed to naturally increase the production of interferon in the body.